If you're looking for Something Special to give someone for a birthday, Christmas, or just as a surprise and have no idea what to get, we have our ever-popular CVS Gift Vouchers available now!! Just give us a call for details. 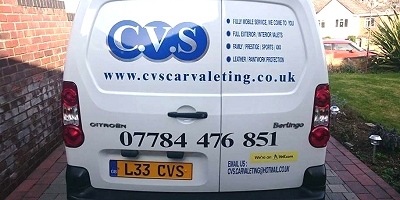 We accept all major credit cards as well as cash or cheque (for established clients) for payment of valeting and vouchers.